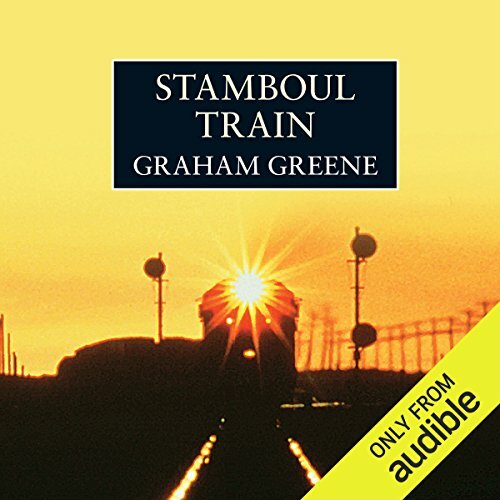 ©1992 Graham Greene (P)2014 Audible, Inc.
With themes of sacrifice and betrayal Greene's Stamboul Train/Orient Express/Stamboul Express is able to provide a moving bio-dome of the human experience on this train headed to Constantinople. There is a definite reason trains are so often used in literature and film. The sealed quality, the movement, the modernity gives the writer room to experiment with characters and themes in a way that others settings would make difficult. This isn't a major Greene novel. Greene definitely wrote better as he matured. But, for those who love Graham Greene's approach to literature and story-telling, this book is a must. Greene's characters are amazing in their capacity for love, sacfrice, betrayal and tragedy. That is what makes Greene's novels so compelling and his characters so beliveable. Maloney does an admirable job at letting the novel speak for itself. He illuminates the text without distracting the reader from it. I love reading (listening to) Greene. This is not really a 'spy thriller' as suggested by the "Publisher's Summary". It is a story about characters ranged on a spectrum of moral ambiguity; how they think and behave; and the consequences. The mystery is trying to guess where on the spectrum each character lies. Greene ties all strands as expected, but not, I think, as the reader might have chosen. 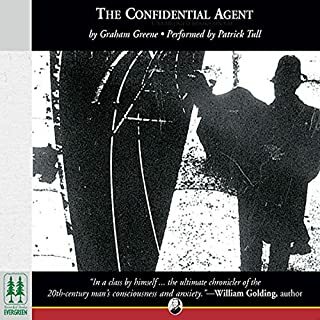 Let's face it, Graham Greene is one of the best writers of the 20th Century. Not one of his best books still puts it miles above most other books. I personally liked "The Comedians" best, although there are many other excellent ones. This book didn't have the depth of his other books and while being very good and quite interesting and entertaining didn't leave me thinking much about it after I finished listening. 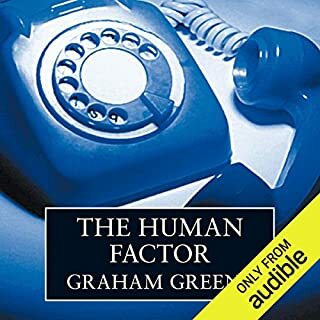 I believe any Greene book is worth the listen, but this shouldn't be your first. I confess this was my first exposure to Graham Greene's writing. And what a collection of characters. To me, the story boils down to a heightened mix of good intentions, nobility and scrabbling criminality. Self-interest is trump. The narration was excellent, the characterization was distinct without getting cartoony. I'll probably come back to another Greene novel in the future. 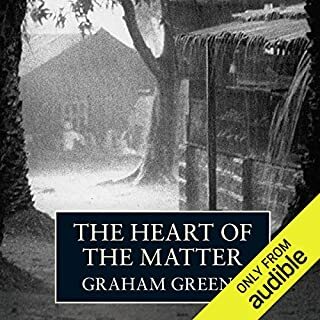 A story by Graham Greene that reminds us why he is regarded as a master story teller. The narration by Michael Maloney is superb--he does a wide array of voices with perfect pitch. What would have made Stamboul Train better? While this book performs well as something to be read aloud, readers should know, before proceeding, of a substantial amount of anti-semitic content. I loved this book, and the narration. It gives you a good feel for Europe in the late 20's and early 30's. Fun easy reading following different characters on the way to Istanbul. This was lighter in themes than greene's "the end of the affair." Graham Greene is unsurpassed when defining exquisite character nuance. Enjoy the journey through the eyes of the characters on the train as beautifully narrated by Michael Maloney. The only negative is that the story ended abruptly. 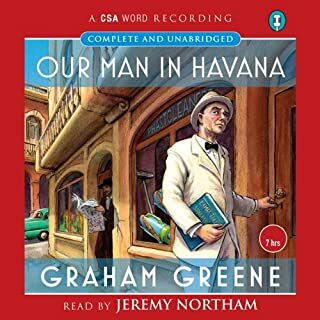 As a lifelong Graham Greene fan I have no hesitation in recommending any of his books to Audible listeners (except, perhaps, The Human Factor)and I am pleased to see so many recent Greene additions to the Audible catalogue. What makes this book special, however (Greene regarded it merely as one of his 'entertainments' i.e. not proper literature), is Michael Maloney's splendid narration. The book is set on the Orient Express, and the narrative is just as thrilling, but a bit more sophisticated, than the Agatha Christie story that is perhaps better known. OK Stamboul Train is one of Greene?s entertainments rather than a full blown novel but it does what it says, it entertains! I remember reading it 35 years ago working as a student in a petrol station and getting the sack because I couldn?t put it down to go an fill up Morris Minors with 3 star. 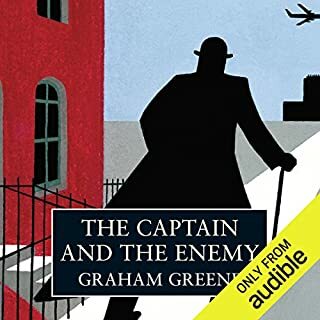 Re-reading it in this splendid audio version it is as compelling as ever but it is also a delightful period piece, set in the early thirties, it time slips back to the age of steam and Balkan intrigue and it pulls no punches on the attitudes to Jews, lesbians and show girls. Greene's voice is as human and sophisticated as ever and as ever the characters are vivid and complex. What a book to dismiss as an Entertainment! Beautifully written, wonderful pacing, fascinating characters, cruel, very well read, grown up. I choose an audio book for something to lull me to sleep. This is my first Graham Greene, and although languidly written, it does get a tad too exciting to doze off to! I enjoyed the style and the unexpectedness of the storyline. Above all, I enjoyed listening to the liquid gold of Michael Maloney's beautiful voice. I've always enjoyed catching Maloney in his appearances on tv, ever since Truly. Madly, Deeply, where he played Juliet Stevenson's new love interest. He conveys intelligence, humour and an unassuming sensuality. At the beginning, I had to keep rewinding, because I was revelling in the voice instead of listening to the words! 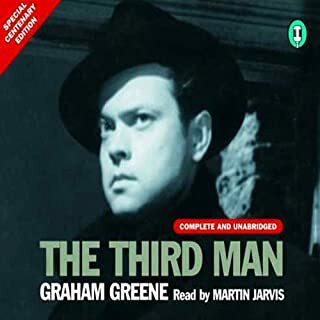 An excellent range of voices and accents as well, to keep track of the widely varying characters so poignantly portrayed by Greene. Very enjoyable. Graham Greene's first success as a writer and I can see why. Great characters and very well narrated. Where does Stamboul Train rank among all the audiobooks you’ve listened to so far? An enjoyable "entertainment" to use Mr Greene's own description. At times overly descriptive to no real purpose but saved by the intrigue and characterization of the plot each time. Its constant twists and turns and the use of the train as a 'vehicle' to introduce new characters and further interest into in the storyline. What about Michael Maloney’s performance did you like? Struggled a bit with the Mabel Green character but overall an excellent performance. another excellent story from greene, and well read. the complex use of language and multiple characters make it worth a second listen. as a book to relax to it needs a bit too much concentration. This is the first Greene book that I've downloaded. I was full of anticipation, but unfortunately I was so bored with the characters and the narration that I didn't finish it. Poor characterisation from the narrator that seems to become even more irritating the longer the book goes on!